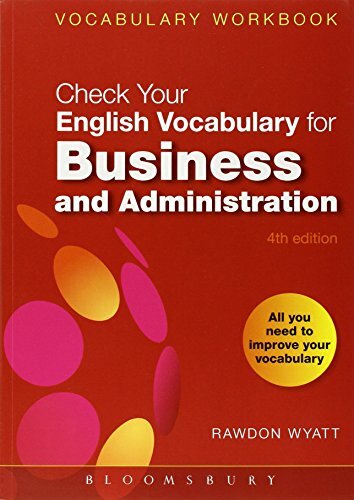 [PDF] Check Your English Vocabulary for Business and Administration: All you need to improve your vocabulary (Check Your Vocabulary) | Free eBooks Download - EBOOKEE! Description: This workbook provides a range of exercises to help learners of English at intermediate level and above learn and review essential vocabulary used in business and administration. It is particularly suitable for students or overseas-trained business and administration staff who want to work in an English-speaking country, or whose work brings them into regular contact with English-speaking business people. No comments for "[PDF] Check Your English Vocabulary for Business and Administration: All you need to improve your vocabulary (Check Your Vocabulary)".